The Columbia Accident Investigation Board (CAIB) was convened by NASA to investigate the destruction of the Space Shuttle Columbia during STS-107 upon atmospheric re-entry on February 1, 2003. The panel determined that the accident was caused by foam insulation breaking off from the external fuel tank, forming debris which damaged the orbiter's wing; and that the problem of "debris shedding" was well known but considered "acceptable" by management. 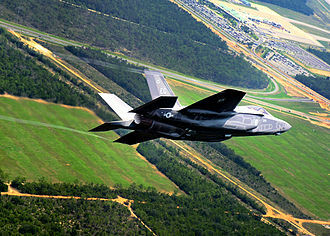 The panel also recommended changes that should be made to increase the safety of future shuttle flights. 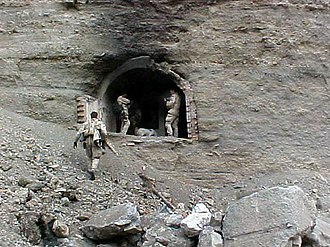 The CAIB released its final report on August 26, 2003. The board found both the immediate physical cause of the accident and also what it called organizational causes. 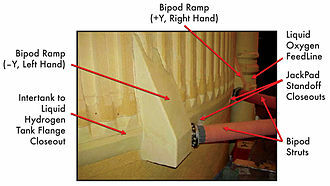 82 seconds after launch a large piece of foam insulating material, the "left bipod foam ramp", broke free from the external tank and struck the leading edge of the shuttle's left wing, damaging the protective carbon heat shielding panels. During re-entry into the Earth's atmosphere, this damage allowed super-heated gases to enter and erode the inner wing structure which led to the destruction of Columbia. It was the seventh known instance of a piece of foam, from this particular area of the external tank, breaking free during launch. The problem of debris shedding from the external tank was well known and had caused shuttle damage on every prior shuttle flight. The damage was usually, but not always, minor. Over time, management gained confidence that it was an acceptable risk. NASA decided that it did not warrant an extra EVA for visual inspection, feeling that it would be like a car going down a highway and hitting a Styrofoam cooler. Establish an independent Technical Engineering Authority that is responsible for technical requirements and all waivers to them, and will build a disciplined, systematic approach to identifying, analyzing, and controlling hazards throughout the life cycle of the Shuttle System. Only two further Space Shuttle missions were allowed to be flown before the implementation of these recommendations. After the CAIB report came out, NASA implemented all recommended changes and flew its first post-Columbia mission in 2005. As part of the CAIB recommendations, the Shuttle carried a 50-foot inspection boom attached to the robot arm, which was used within 24 hours of launch to check the orbiter for damage. 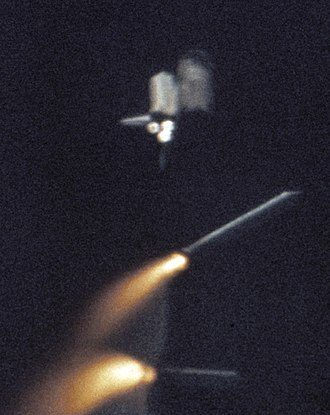 As all but one of the post-Columbia missions were concentrated on the International Space Station, primarily to provide a "safe haven" in the event an orbiter was damaged beyond the normal repair methods, NASA implemented a STS-3xx contingency mission program that could launch a rescue orbiter on short notice, similar to the Skylab Rescue that was planned during the Skylab program. 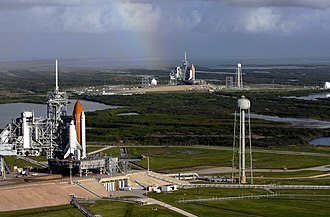 NASA retired the Space Shuttle fleet on July 21, 2011 after completing the ISS and the final flight and subsequent landing of Atlantis. The Shuttle's replacement, Orion, was to have consisted of an Apollo-derived spacecraft launched on the Ares I rocket, which would use a Space Shuttle Solid Rocket Booster as its first stage. Orion would not face the dangers of either an O-ring failure (due to the presence of a launch escape system) or shedding foam (as the spacecraft would be launched in a stack configuration). In addition to ferrying crews to the ISS, the Orion spacecraft was to (as part of Project Constellation) allow NASA to return to the Moon. 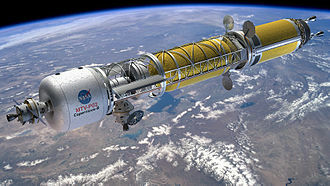 President Obama signed the NASA Authorization Act 2010 on October 11 which officially brought the Constellation program to an end, replacing it with the Space Launch System (SLS) and Multi-Purpose Crew Vehicle (MPCV) programs to develop the launch vehicle and spacecraft to enable human exploration missions beyond low-Earth orbit. 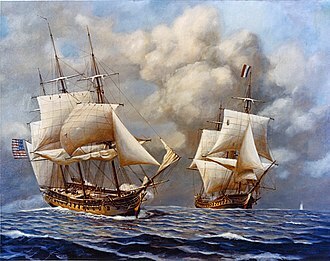 LCDR Johnny R. Wolfe Jr.
Dr. Robert E. Green, Jr. 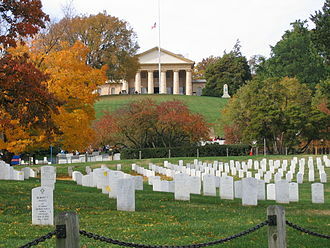 The Rogers Commission Report was created by a Presidential Commission charged with investigating the Space Shuttle Challenger disaster during its 10th mission, STS-51-L. The failure of the O-rings was attributed to a design flaw, more broadly, the report determined the contributing causes of the accident. 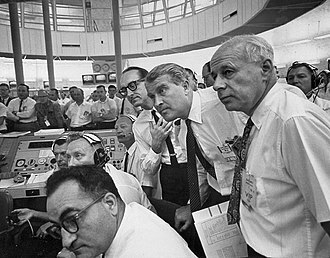 Most salient was the failure of both NASA and its contractor, Morton Thiokol, to respond adequately to the design flaw, the Commission found that as early as 1977, NASA managers had not only known about the flawed O-ring, but that it had the potential for catastrophe. 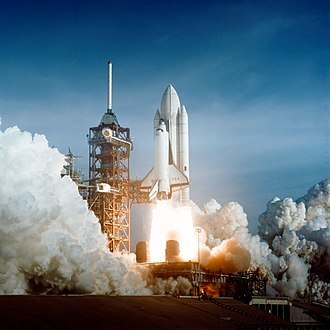 This led the Rogers Commission to conclude that the Challenger disaster was an accident rooted in history, the report strongly criticized the decision making process that led to the launch of Challenger, saying that it was seriously flawed. There was a meeting the night before the launch to discuss any major pressing issues that might delay the launch further, several of the Morton Thiokol engineers stated their concerns about the O-rings and urged the council to delay the launch. 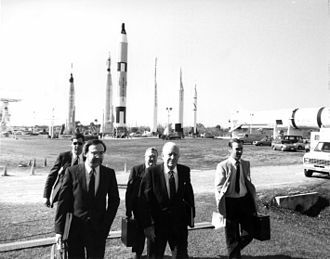 However, because there were no members of the safety council and it is certain that even though higher-ranking members of the council did know about the issues, there were plenty of members that could have stopped the launch but decided not to. This was done in part because of the management structure at NASA. 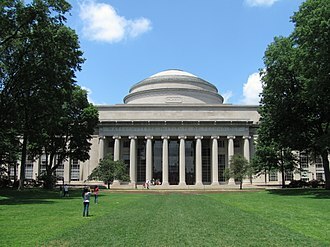 One of the commissions members was theoretical physicist Richard Feynman. 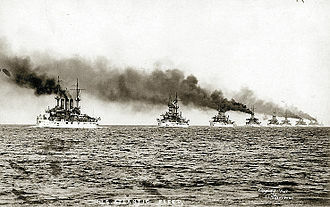 His style of investigating with his own direct methods rather than following the schedule put him at odds with Rogers. Feynmans own investigation reveals a disconnect between NASAs engineers and executives that was far more striking than he expected and his interviews of NASAs high-ranking managers revealed startling misunderstandings of elementary concepts. One such concept was the determination of a safety factor, in one example, early tests resulted in some of the booster rockets O-rings burning a third of the way through. These O-rings provided the gas-tight seal needed between the vertically stacked cylindrical sections that made up the fuel booster. 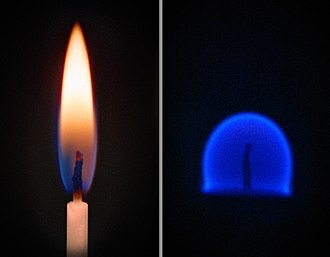 NASA managers recorded this result as demonstrating that the O-rings had a safety factor of 3. 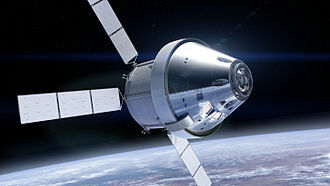 The Orion Multi-Purpose Crew Vehicle is an American spacecraft intended to carry a crew of four astronauts to destinations at or beyond low Earth orbit. The Orion MPCV was announced by NASA on May 24,2011 and its design is based on the Orion Crew Exploration Vehicle from the cancelled Constellation program. The Orion command module is being built by Lockheed Martin at the Michoud Assembly Facility in New Orleans, the Orion Service Module, provided by the European Space Agency, is being built by Airbus Defence and Space. 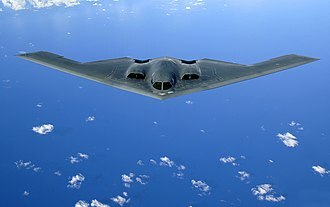 However, a July 2016 Government Accountability Office report cast doubt on even the 2023 launch date, the report gave only a 40% confidence in the 2021 launch date, and suggested the aggressive goal may be counterproductive to the program. On January 14,2004, U. S. President George W. Bush announced the Crew Exploration Vehicle as part of the Vision for Space Exploration. The CEV effectively replaced the conceptual Orbital Space Plane, which was proposed after the cancellation of the Lockheed Martin X-33 program to produce a replacement for the space shuttle. Constellation proposed using the Orion CEV in both crew and cargo variants to support the International Space Station and as a vehicle for a return to the Moon. 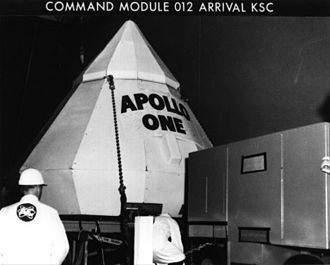 The Orion CEV weighs about 23 tonnes, less than the 30 tonne Apollo command/service module, the crew module would weigh about 8.9 tonnes, greater than the equivalent Apollo command module at 5.8 tonnes. With a diameter of 5 metres as opposed to 3.9 metres, the Orion CEV design consisted of two main parts, a conical crew module and a cylindrical service module holding the spacecrafts propulsion system and expendable supplies. Both were based substantially on the Apollo command and service modules flown between 1967 and 1975, on May 7,2009, the Obama administration enlisted the Augustine Commission to perform a full independent review of the ongoing NASA space exploration program. As a consequence, the commission recommended a significant re-allocation of goals, as one of the many outcomes based on these recommendations, on October 11,2010, the Constellation program was cancelled, ending development of the Altair, Ares I, and Ares V.
The Orion Crew Exploration Vehicle survived the cancellation and was renamed the Multi-Purpose Crew Vehicle, the Orion MPCV takes basic design elements from the Apollo Command Module that took astronauts to the moon, but its technology and capability are more advanced. It is designed to support long-duration deep space missions, with up to 21 days active crew time plus 6 months quiescent, during the quiescent period crew life support would be provided by another module such as a Deep Space Habitat. The spacecrafts life support, thermal protection and avionics systems are designed to be upgradeable as new technologies become available, the MPCV spacecraft includes both crew and service modules, and a spacecraft adaptor. The MPCVs crew module is larger than Apollos and can support more crew members for short or long-duration missions, the service module fuels and propels the spacecraft as well as storing oxygen and water for astronauts. The service modules structure is being designed to provide locations to mount scientific experiments, the crew module is the only part of the MPCV that returns to Earth after each mission and is a 57. 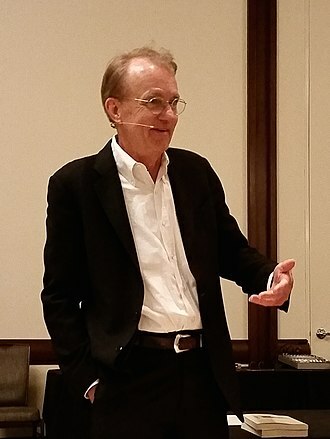 Edward Rolf Tufte is an American statistician and professor emeritus of political science and computer science at Yale University. He is noted for his writings on design and as a pioneer in the field of data visualization. 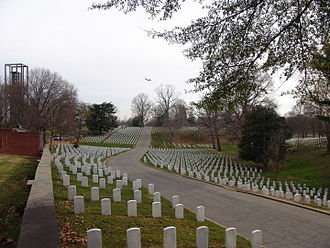 Edward Rolf Tufte was born in 1942 in Kansas City, Missouri, to Virginia Tufte and he grew up in Beverly Hills, where his father was a longtime city official, and he graduated from Beverly Hills High School. 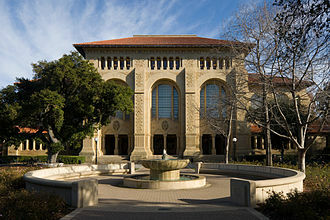 He received a BS and MS in statistics from Stanford University and his dissertation, completed in 1968, was entitled The Civil Rights Movement and Its Opposition. 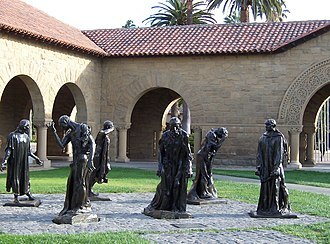 In 1975, while at Princeton, Tufte was asked to teach a course to a group of journalists who were visiting the school to study economics. 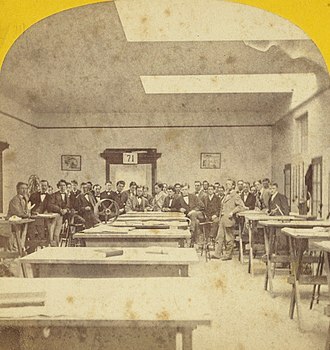 These course materials became the foundation for his first book on information design, after difficult negotiations with mainline publishers failed, Tufte decided to self-publish Visual Display in 1982, working closely with graphic designer Howard Gralla. 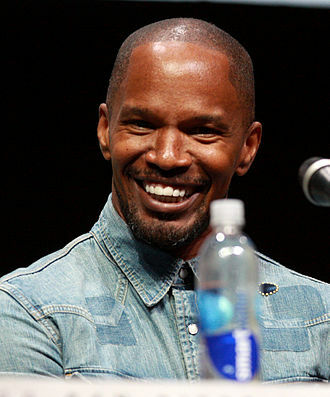 He financed the work by taking out a mortgage on his home. The book quickly became a success and secured his transition from political scientist to information expert. 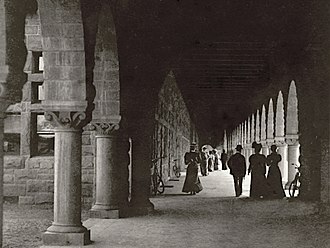 Tufte is an expert in the presentation of graphics such as charts and diagrams. He has held fellowships from the Guggenheim Foundation and the Center for Advanced Study in the Behavioral Sciences and he is intensely critical in the self-editing process. He pulls in and casts out ideas from books, posters, auction catalogs and he invites others to critique his work in-progress and may nurture dozens of ideas over months in various states of growth and fruition. He deletes almost every photograph he takes, over time, he deletes most of what he writes on his own forum, ET Notebooks. Every printing of every book corrects numerous small blemishes, ranging from color registration to kerning and hinting, Tuftes writing is important in such fields as information design and visual literacy, which deal with the visual communication of information. He coined the word chartjunk to refer to useless, non-informative, Tuftes other key concepts include what he calls the lie factor, the data-ink ratio, and the data density of a graphic. Skylab was the United States first space station, orbiting Earth from 1973 to 1979, when it fell back to Earth amid huge worldwide media attention. Launched and operated by NASA, Skylab included a workshop, a solar observatory and it was launched unmanned by a modified Saturn V rocket, with a weight of 170,000 pounds. Lifting Skylab into low earth orbit was the mission and launch of a Saturn V rocket. Skylabs solar observatory was one aspect of study, and solar science was significantly advanced by the telescope. Each of these missions delivered a three-astronaut crew, carried in the Apollo Command/Service Module launched atop the Saturn IB rocket, which is much smaller than the Saturn V. For the final two manned missions to Skylab, a backup Apollo CSM/Saturn IB was assembled and made ready in case a rescue mission was needed. 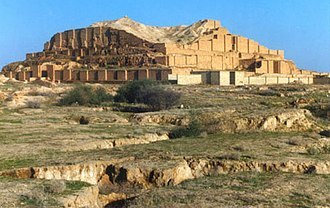 This deprived Skylab of most of its power, and removed protection from intense solar heating, threatening to make it unusable. However, the first crew was able to save Skylab by deploying a replacement heat shade and freeing the jammed solar panels, Skylab included the Apollo Telescope Mount, Multiple Docking Adapter, Airlock Module with extravehicular activity hatches, and the Orbital Workshop. Electrical power came from solar arrays, as well as cells in the docked Apollo CSM. 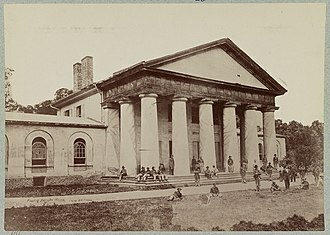 The rear of the station included a large tank, propellant tanks for maneuvering jets. Numerous scientific experiments were conducted aboard Skylab during its operational life, the Earth Resources Experiment Package was used to view Earth with sensors that recorded data in the visible and microwave spectral regions. Plans were made to refurbish and reuse Skylab by using the Space Shuttle to boost its orbit, due to delays with the development of the Space Shuttle, Skylabs decaying orbit could not be stopped. In the hours before re-entry, NASA ground controllers attempted to adjust Skylabs trajectory, NASAs attempted target was a spot 810 miles south-southeast of Cape Town, South Africa. Skylab did not burn up as fast as NASA expected, and Skylab debris landed southeast of Perth in Western Australia, over a single property in Esperance,24 pieces of Skylab were found. Analysis of some debris indicated that the Skylab station had disintegrated 10 mi above the Earth, after Skylab, NASA space station/laboratory projects included Spacelab, Shuttle-Mir, and Space Station Freedom. 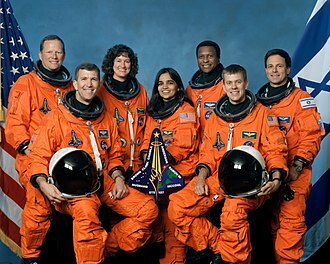 STS-107 was the 113th flight of the Space Shuttle program, and the disastrous final flight of Space Shuttle Columbia. The seven members of the crew were killed on February 1 when Columbia disintegrated during reentry into the atmosphere, during re-entry the damaged wing slowly overheated and came apart, eventually leading to loss of control and disintegration of the vehicle. The cockpit window frame is now exhibited in a memorial inside the Space Shuttle Atlantis Pavilion at the Kennedy Space Center in Florida, sTS-107 carried the SPACEHAB Double Research Module on its inaugural flight, the Freestar experiment, and the Extended Duration Orbiter pallet. SPACEHAB was first flown on STS57, one of the experiments, a video taken to study atmospheric dust, may have detected a new atmospheric phenomenon, dubbed a TIGER. The copy was in the possession of Ilan Ramon and was lost in the disintegration, Ramon traveled with a dollar bill received from the Lubavitcher Rebbe. An Australian experiment, conducted by students from Glen Waverley Secondary College, was designed to test the reaction of zero gravity on the web formation of the Garden Orb Spider, examples of some of the experiments and investigations on the mission. Because much of the data was transmitted during the mission, there was still large return on the mission even though it was lost on re-entry. Some of the experiments were found on the ground, KSC landing was planned for Feb.1 after a 16-day mission, but Columbia and crew were lost during reentry over East Texas at about 9 a. m. EST,16 minutes prior to the scheduled touchdown at KSC, the loss of the spacecraft and crew triggered a 7-month investigation and a search for debris, and over 85,000 pieces were collected over the course of the initial investigation. This amounted to roughly 38 percent of the orbiter vehicle, the central element of the patch is the microgravity symbol, µg, flowing into the rays of the astronaut symbol. The mission inclination is portrayed by the 39 degree angle of the symbol to the Earths horizon. The sunrise is representative of the experiments that are the dawn of a new era for continued microgravity research on the International Space Station. The breadth of science and the exploration of space is illustrated by the Earth, the constellation Columba was chosen to symbolize peace on Earth and the Space Shuttle Columbia. Ares I was the crew launch vehicle that was being developed by NASA as part of the Constellation Program. The name Ares refers to the Greek deity Ares, who is identified with the Roman god Mars, Ares I was originally known as the Crew Launch Vehicle. 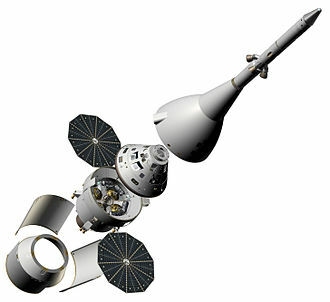 NASA planned to use Ares I to launch Orion, the intended for NASA human spaceflight missions after the Space Shuttle was retired in 2011. Ares I was to complement the larger, unmanned Ares V, NASA selected the Ares designs for their anticipated overall safety and cost-effectiveness. 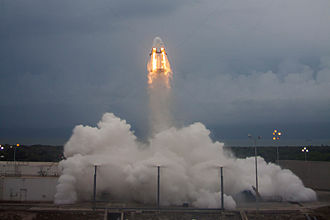 However, the Constellation program, including Ares I was cancelled by Barack Obama in October 2010 with the passage of his 2010 NASA authorization bill, in September 2011, NASA detailed the Space Launch System as its new vehicle for human exploration beyond Earths orbit. In 1995 Lockheed Martin produced an Advanced Transportation System Studies report for the Marshall Space Flight Center, a section of the ATSS report describes several possible vehicles much like the Ares I design, with liquid rocket second stages stacked above segmented solid rocket booster first stages. 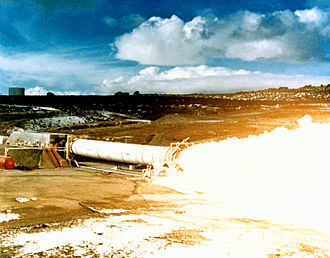 The variants that were considered included both the J-2S engines and Space Shuttle Main Engines for the second stage, the variants assumed use of the Advanced Solid Rocket Motor as a first stage, but the ASRM was cancelled in 1993 due to significant cost overruns. 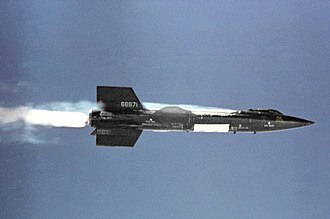 President George W. Originally, the vehicle would have used a four-segment solid rocket booster for the first stage, an unmanned version was to use the five-segment booster, but with the second stage using the single SSME. 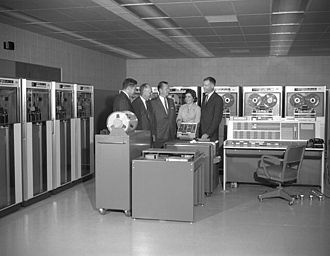 The Exploration Systems Architecture Study concluded that the cost and safety of the Ares was superior to that of either of the Evolved Expendable Launch Vehicle, the cost estimates in the study were based on the assumption that new launch pads would be needed for human-rated EELVs. The ESAS launch safety estimates for the Ares were based on the Space Shuttle, despite the differences, the estimate counted each Shuttle launch as two safe launches of the Ares booster. The safety of the Atlas V and Delta IV was estimated from the rates of all Delta II, Atlas-Centaur. Ares I was the crew launch component of the Constellation program, Originally named the Crew Launch Vehicle or CLV, the Ares name was chosen from the Greek deity Ares. Having two separate launch vehicles allows for more specialized designs for the crew and heavy cargo launch rockets, the Ares I rocket was specifically being designed to launch the Orion Multi-Purpose Crew Vehicle. 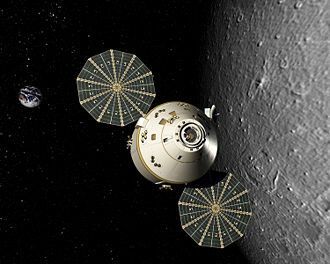 Orion was intended as a capsule, similar in design to the Apollo program capsule, to transport astronauts to the International Space Station, the Moon. Ares I might have delivered some resources to orbit, including supplies for the International Space Station or subsequent delivery to the planned lunar base. 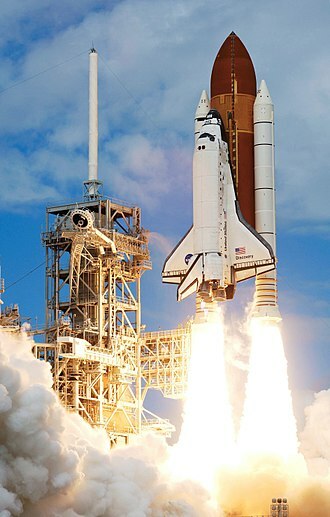 NASA selected Alliant Techsystems, the builder of the Space Shuttle Solid Rocket Boosters, NASA announced that Rocketdyne would be the main subcontractor for the J-2X rocket engine on July 16,2007. NASA selected Boeing to provide and install the avionics for the Ares I rocket on December 12,2007, on August 28,2007 NASA awarded the Ares I Upper Stage manufacturing contract to Boeing. 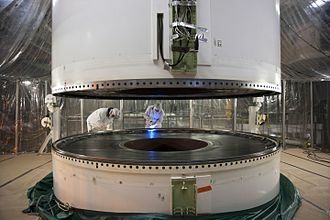 The Space Shuttle thermal protection system is the barrier that protected the Space Shuttle Orbiter during the searing 1,650 °C heat of atmospheric reentry. A secondary goal was to protect from the heat and cold of space while in orbit, used where reentry temperature exceeded 1,260 °C. High-temperature reusable surface insulation tiles, used on the orbiter underside, made of coated LI-900 Silica ceramics. Used where reentry temperature was below 1260 °C, fibrous refractory composite insulation tiles, used to provide improved strength, resistance to coating cracking and weight reduction. Some HRSI tiles were replaced by this type, flexible Insulation Blankets, a quilted, flexible blanket-like surface insulation. Used where reentry temperature was below 649 °C, low-temperature Reusable Surface Insulation tiles, formerly used on the upper fuselage, but were mostly replaced by FIB. Used in temperature ranges roughly similar to FIB, toughened unipiece fibrous insulation tiles, a stronger, tougher tile which came into use in 1996. Used in high and low temperature areas, white Nomex felt blankets on the upper payload bay doors, portions of the mid fuselage and aft fuselage sides, portions of the upper wing surface and a portion of the OMS/RCS pods. Used where temperatures stayed below 371 °C, each type of TPS had specific heat protection, impact resistance, and weight characteristics, which determined the locations where it was used and the amount used. The shuttle TPS has three key characteristics that distinguish it from the TPS used on spacecraft, Reusable. Previous spacecraft generally used ablative heat shields which burned off during reentry and this insulation was robust and reliable, and the single-use nature was appropriate for a single-use vehicle. By contrast, the reusable shuttle required a reusable thermal protection system, previous ablative heat shields were very heavy. 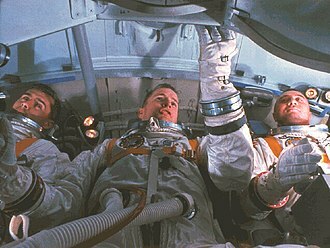 For example the heat shield on the Apollo Command Module comprised about 1/3 of the vehicle weight. The winged shuttle had much more area than previous spacecraft. 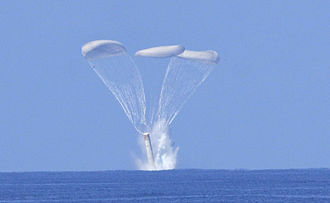 After burnout, they were jettisoned and parachuted into the Atlantic Ocean where they were recovered, examined and reused. The SRBs were the most powerful rocket motors ever flown, each provided a maximum 13,800 kN thrust, roughly double the most powerful single-combustion chamber liquid-propellant rocket engine ever flown, the Rocketdyne F-1. With a combined mass of about 1,180,000 kg, the motor segments of the SRBs were manufactured by Thiokol of Brigham City, which was purchased by ATK. The prime contractor for most other components of the SRBs, as well as for the integration of all the components and retrieval of the spent SRBs, was USBI, a subsidiary of Pratt and Whitney. This contract was subsequently transitioned to United Space Alliance, a liability company joint venture of Boeing. Out of 270 SRBs launched over the Shuttle program, all but four were recovered – those from STS-4, over 5,000 parts were refurbished for reuse after each flight. The final set of SRBs that launched STS-135 included parts that flew on 59 previous missions, recovery allowed post-flight examination of the boosters, identification of anomalies, and incremental design improvements. The two reusable SRBs provided the main thrust to lift the shuttle off the pad and up to an altitude of about 150,000 ft. While on the pad, the two SRBs carried the weight of the external tank and orbiter and transmitted the weight load through their structure to the mobile launch platform. Each booster had a liftoff thrust of approximately 2,800,000 pounds-force at sea level and they were ignited after the three Space Shuttle Main Engines thrust level was verified. Each is 149.16 ft long and 12.17 ft in diameter, only could any conceivable set of launch or post-liftoff abort procedures be contemplated. In addition, failure of an individual SRBs thrust output or ability to adhere to the designed performance profile was not survivable, each SRB weighed approximately 1,300,000 lb at launch. The two SRBs constituted about 69% of the total lift-off mass, the propellant for each solid rocket motor weighed approximately 1,100,000 lb. The inert weight of each SRB was approximately 200,000 pounds, while the terms solid rocket motor and solid rocket booster are often used interchangeably, in technical use they have specific meanings. 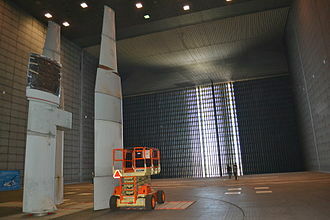 The Skylab Rescue CSM is removed from its Saturn IB Launch vehicle in the Vehicle Assembly Building, following the successful recovery of Skylab 4. 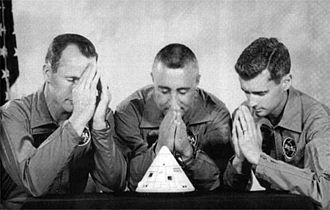 The Apollo 1 crew expressed their concerns about their spacecraft's problems by presenting this parody of their crew portrait to ASPO manager Joseph Shea on August 19, 1966. Space Shuttle Discovery as it approaches the International Space Station during the STS-114 on 28 July 2005. Discoverys under wing surfaces are protected by thousands of High-Temperature Reusable Insulation tiles. Bagian training to use the IMAX camera prior to STS-29. Atlantis and Endeavour on LC-39A and LC-39B. 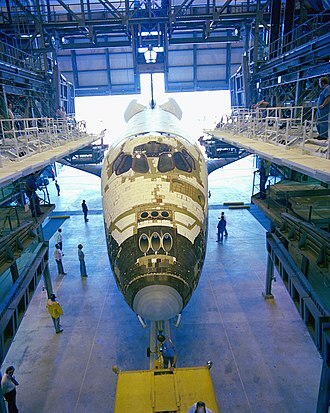 Endeavour was slated to launch on the STS-400 rescue mission if Atlantis (STS-125) was unable to return safely to Earth.